At Geek-A-Roo, we put our personal touch into every project we work on. We thoroughly enjoy what we do, and are proud to display our ever-growing portfolio. 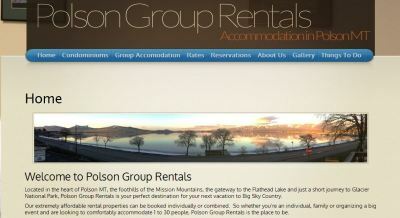 Polson Group Rentals offers affordable and comfortable accommodation in Polson MT. They offer both Condominiums and Group Dormitory Style accommodation perfect for individuals, families and larger groups like cyclists, hikers, wedding parties, reunions and much much more. This site was officially launched in March 2013, and is continuing to be serviced by Geek-A-Roo. Click on the image above to visit this site. 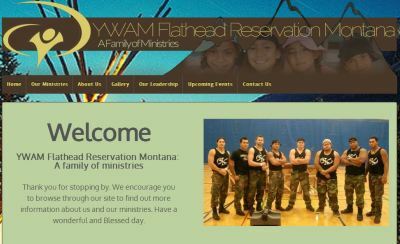 YWAM Flathead Reservation Montana is a family of Ministries based in Montana, USA. Made up of 6 Ministries; YWAM Tribal Waves, TX Warriors, Mission 21, Father’s House, Missoula Tribal Waves, and Equip21, YWAM Flathead Reservation Montana collaborates the works of these amazing Ministries and shares them on their website. This site was officially launched in February 2013, Geek-A-Roo Computer and Tech Services is proud to continue servicing and maintaining this website. 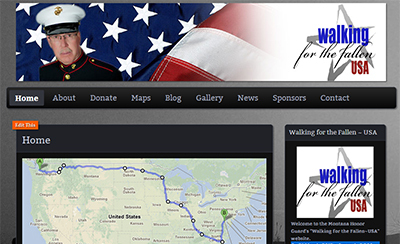 On 31 March, 2013 a 6 month, 3,300 mile walk across the United States will begin to remind Americans about the “Cost of Freedom” and raise $50,000 for wounded veterans. Please explore his website for more information. Spirit Fire Global Ministries is located in Lakeside MT. Geek-A-Roo was proudly involved in revamping their old website, allowing greater flexibilty to their needs. 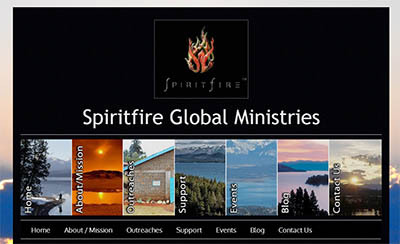 The Spirit Fire Global Ministries website was launched in 2012. Cakes By Helen is the home of cake entrepreneur Helen Davies. She provides home-made cakes to Perth, Australia. 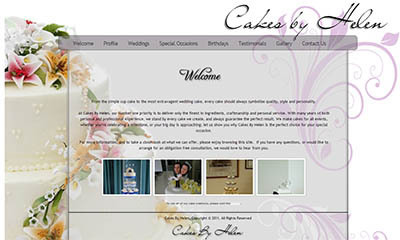 The Cakes By Helen website was launched in 2010. Cornerstone Pizza is a fun take on the story of David and Goliath. 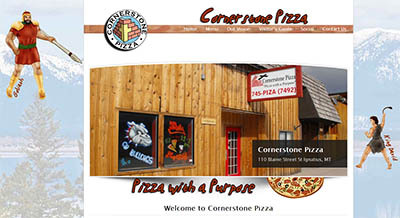 Cornerstone Pizza’s slogan is “Pizza With a Purpose” because they are uniquely a ‘not for profit’ organization. Cornerstone Pizza is located in Saint Ignatius, MT and donate all of their proceeds to the local communities. Cornerstone Pizza is still under development and is hoping to be officially launched soon. We take great pride in creating each website, we can provide you with a fully customized look and feel with unique features unlike other companies. 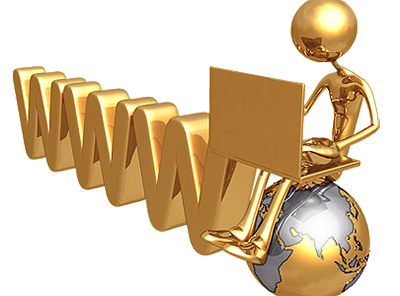 Please visit our Web Hosting Service page for more information. Your logo or graphic is one of the most important aspect of your business or identity, allowing customers to identify your product or service quickly is integral in an effective logo or graphic. 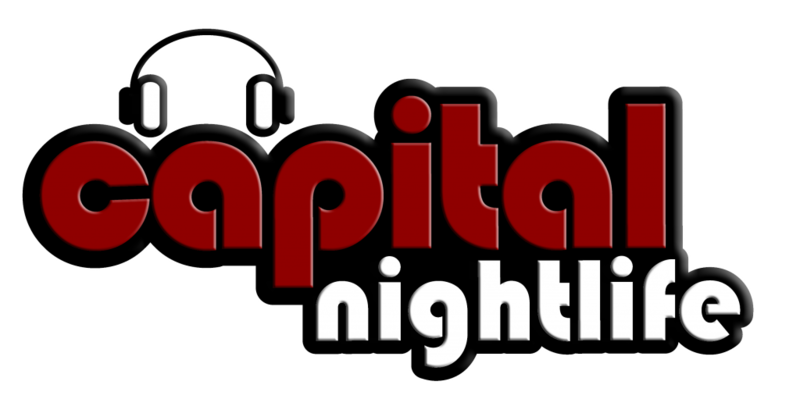 Below is a list of logos and graphic design created by Geek-A-Roo.